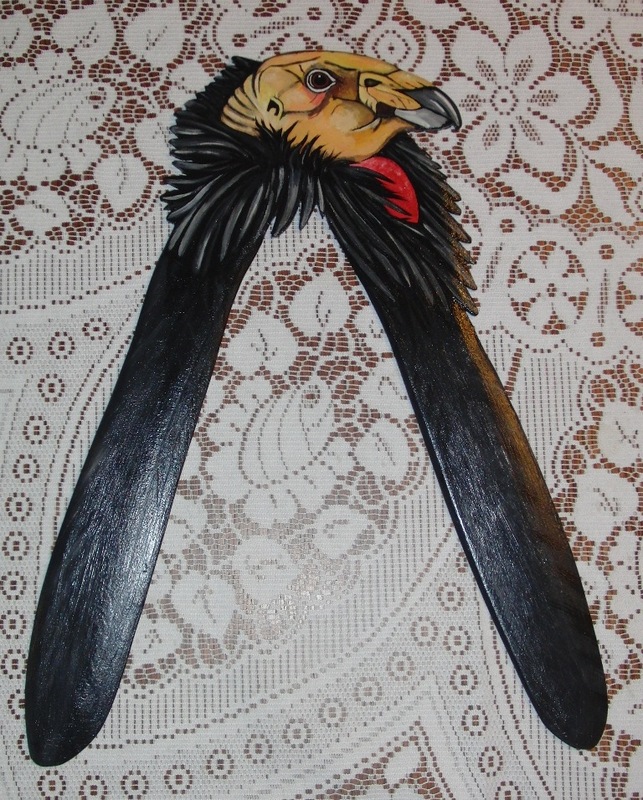 I splurged a bit and bought some collectable art boomerangs last month. 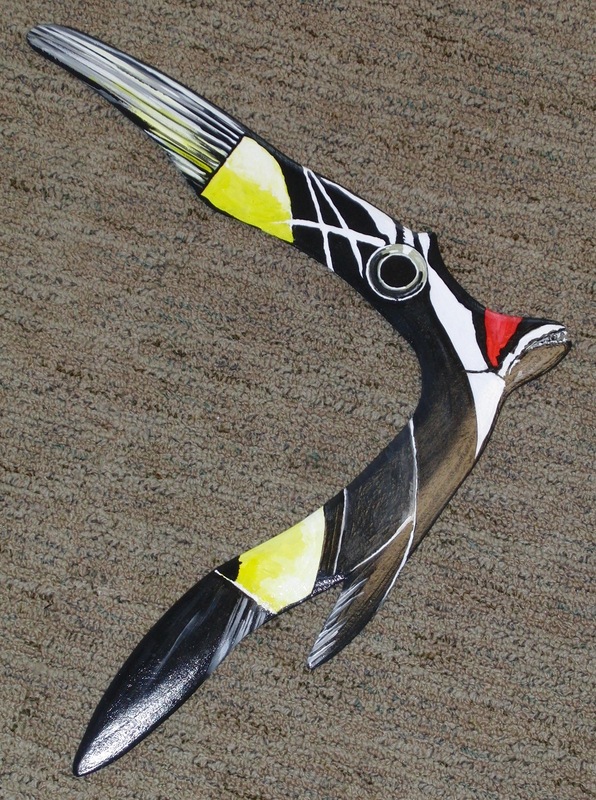 These boomerangs were made by Siegfried Stiller. The first of these is the Futbol Fan (or Soccer Fan to us in the US). 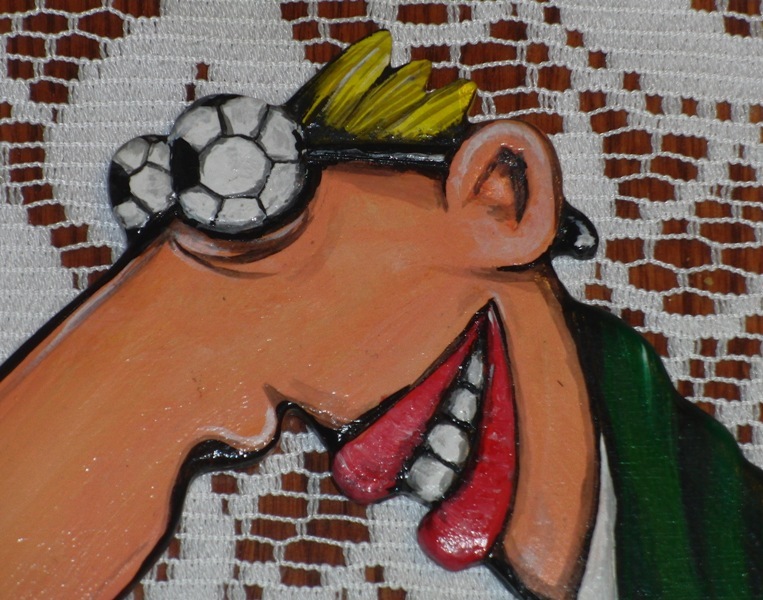 There is some nice relief carving around the eyes and mouth area. The next is an Angelfish. Nice artwork on this one. This is a left hand boomerang but I don’t mind since I will probably never throw it. The last of these is my favorite. It is a California Condor. 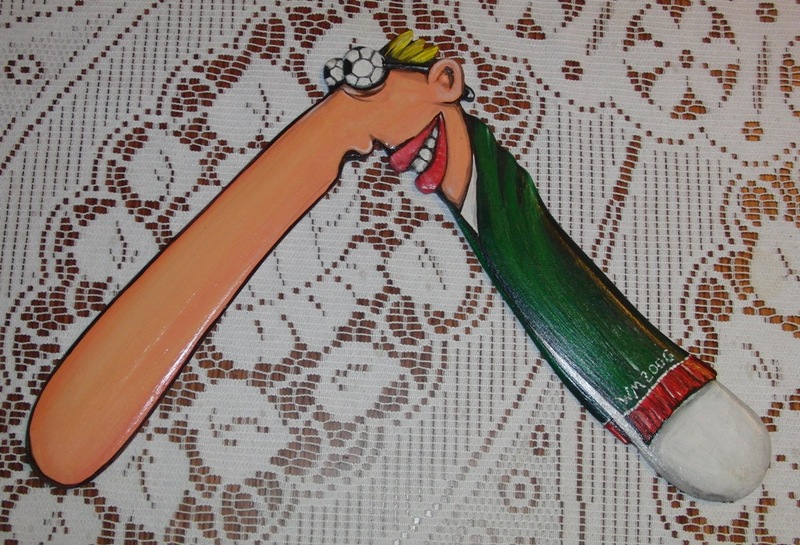 The painting of the head on this boomerang is spectacular. I am really impressed with this one. It is also a large boomerang and left hand but I don’t see me ever throwing it either. 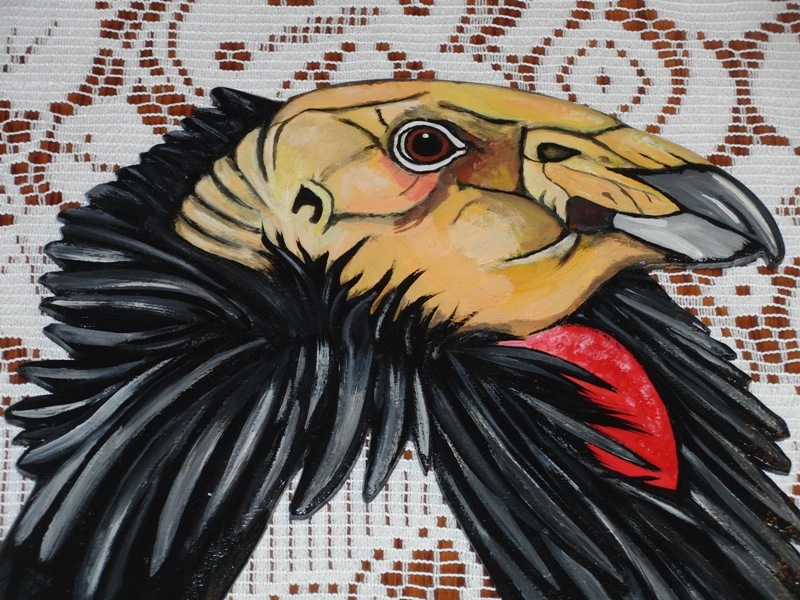 Here is a closeup of the head. I’ll add some photos of other recent aquistions soon.